As depraved as it is hilarious, Anthony Bourdain’s first novel is street smart and spiced with drugged-up savvy, foul-mouthed feds and salty mob speak. 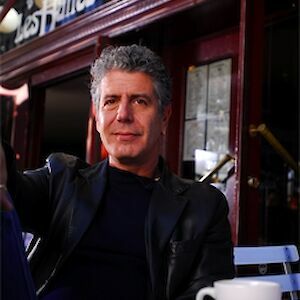 Anthony Bourdain was a world-renowned chef, travelling the world for his Emmy Award-winning series Anthony Bourdain: Parts Unknown. He was the bestselling author of Kitchen Confidential. His fiction titles include Gone Bamboo and Bobby Gold. He died on 8 June 2018.